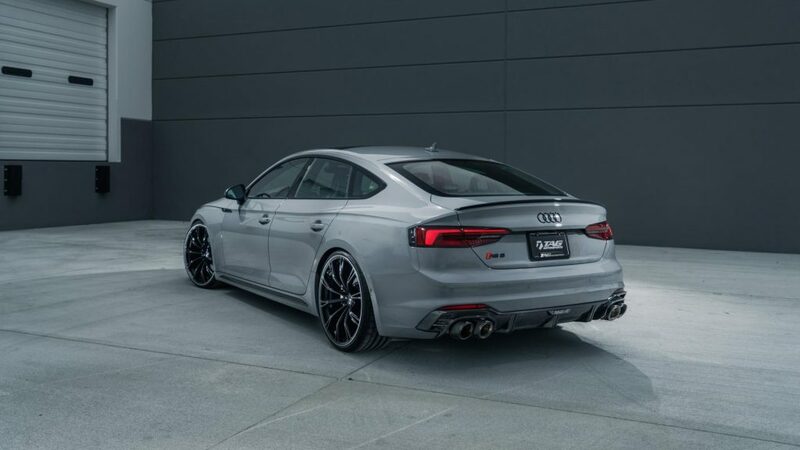 Americans rejoice, the RS5 R now comes in coupe form. Last year we brought you news of the barnstorming, ABT-tuned Audi RS5 coupe. 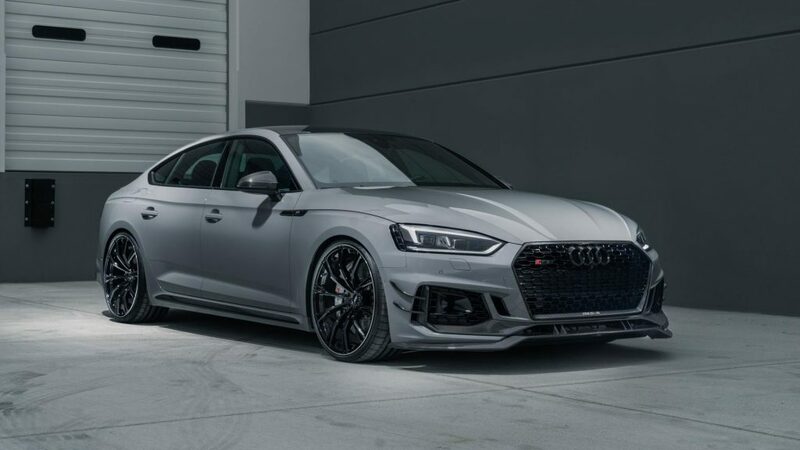 Well, it would seem the Bavarian tuners are appreciating Audi’s niche-busting approach to model development, because if you’re an American you will now be able to order an ABT RS5-R Sportback. For reasons not many understand, Audi only sells the Sportback in the US at the moment. However, ABT says that once the rest of the world gets the standard car they will also have a chance to buy this monster. That is of course if the Americans don’t snap them all up first – ABT claims “there will definitely be no more than 50 cars”. Spoilsports. The RS5-R Sportback is good news for fans of carbon-fibre though. Especially if you’ve always wanted weaved lip-spoilers and winglets. Visually, as well as the presence of plenty of the black stuff, there’s also a new four-pipe exhaust system and some rather lovely 21inch wheels. Don’t go thinking these are just aesthetic mods though. ABT has turned up the boost on the 2.9-litre bi-turbo V6 to ring out 503bhp and 509ft lb of torque, whilst also fitting height adjustable suspension and sports stabilisers so it’ll cope when the going gets twisty. There’s no word on top speed or price yet, but ABT has confirmed that all their mods come with a four-year or 100,000-mile warranty. 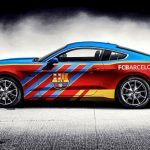 How sensible – let’s hope the car itself has a lighter side.